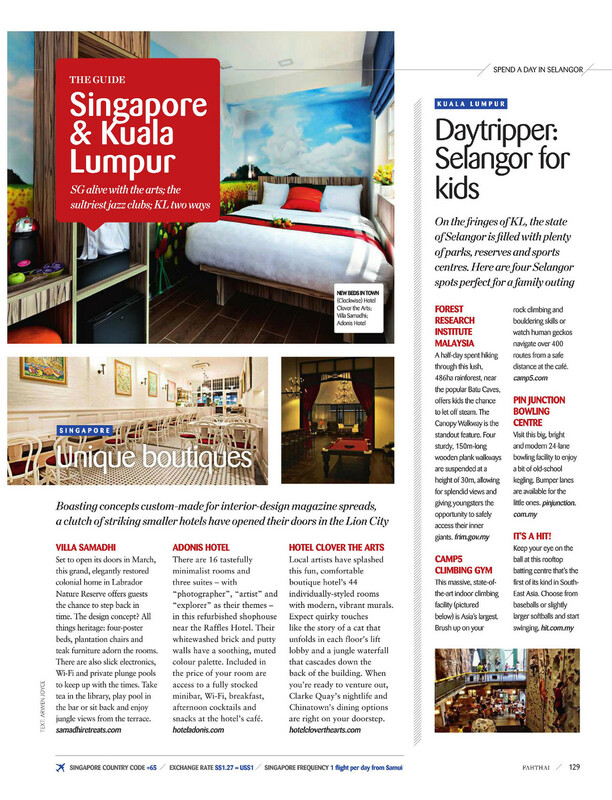 Featured on Bangkok Airways in-flight magazine – Fah Thai (Jan – Feb) 2014! I’ve got so many things to share, so many new projects signed & sealed too. Promise to share them when the time comes, alright? 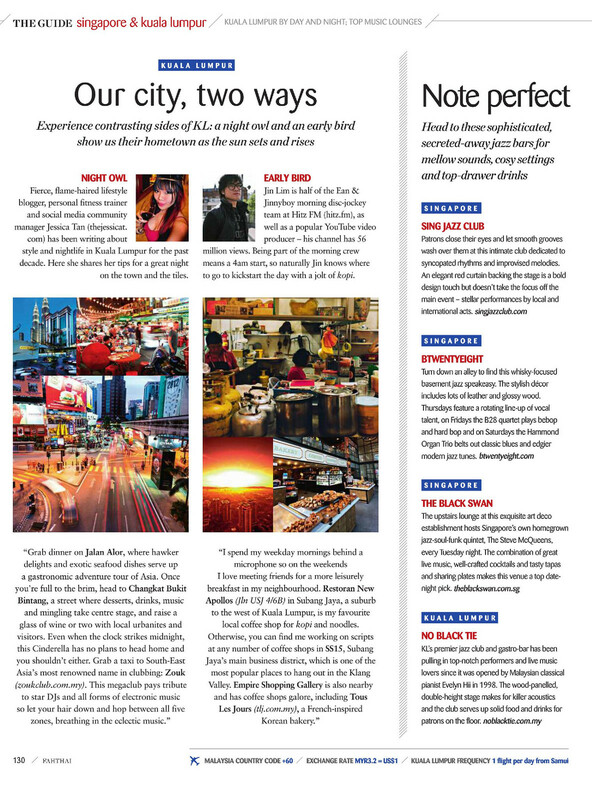 I was interviewed again, this time for a publication that some of you may or may not have heard of – Fah Thai Your Passport to the New Asia magazine. For the frequent travellers, you might have perused the glossy pages of this magazine whilst jet-setting across the globe via Bangkok Airways. Yup! It is none other than Bangkok Airways’ in-flight magazine. Much like Going Places to our Malaysia Airlines or Hemispheres to United Airways. You can always download the full magazine too! 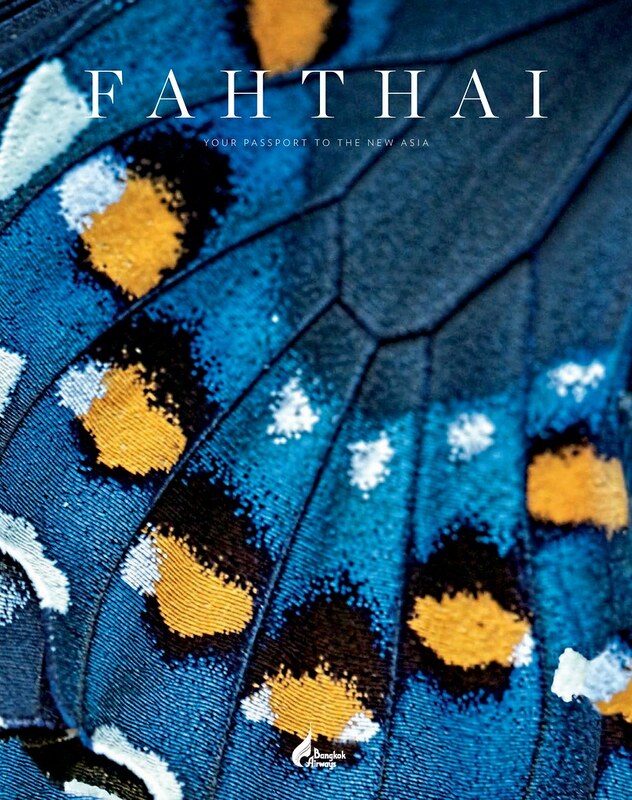 Fah Thai is a bi-monthly magazine that appeals to the mostly European passengers of Bangkok Airways, Asia’s only ’boutique airline’ and Thailand’s second biggest carrier. Produced in both English and Thai, the magazine is a high end, glossy publication that focuses mostly on travel, culture and lifestyle. Destinations covered include Bangkok, Chiang Mai, Koh Samui (exclusive to Bangkok Airways), Krabi, Pattaya, Phuket, Sukhothai (exclusive to Bangkok Airways! ), Trat (exclusive to Bangkok Airways! ), Guilin, Hangzhou, Hong Kong, Jinghong, Luang Prabang, Maldives, Phnom Penh, Shenzhen, Siem Reap, Singapore, Xi’an, Yangon and Zhenzhou. For two years running passengers from around the world voted Bangkok Airways the Skytrax “Best Regional Airline – Asia”. With over 500,000 readers per issue, Fah Thai provides a unique environment to reach a unique, affluent and captive audience. Thanks for the little feature, FahThai! Am honoured to have graced your pages. One last thing though – do you really reckon I am fierce? I’m as benevolent as can be… wouldn’t even hurt a fly 😛 Promise!